just me creating...: Easter holidays have begun! 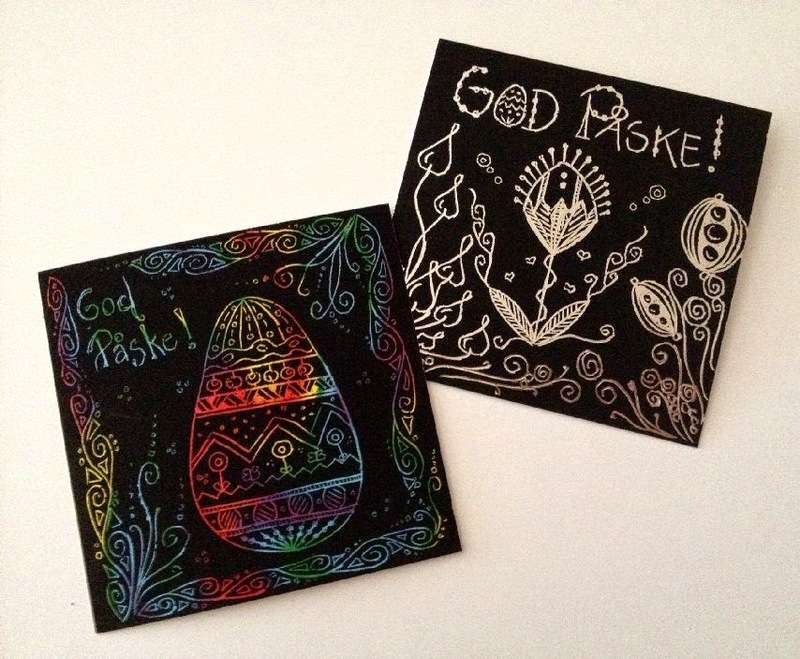 So it's monday... And it's easter... Aka HOLIDAY! Aka YAY! Oh, no! Someone took an axe to my oak tree! I think maybe I made a new border tangle on the colored tile. I quite like it! And I love how it came about all on it's own! 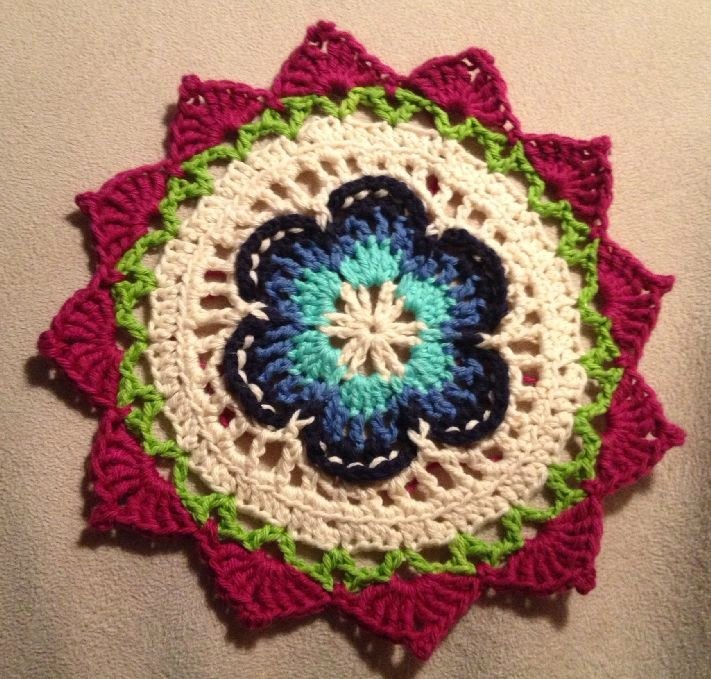 So many different stitches and colors it looks so fun to make! What it should look like about halfway done... Amazing! I only just got started! Finally got around to finishing the second drawing for the "Triple B" Bible Book Biweekly Challenge. The terms for the challenge have now changed. So you do not need to draw an entire page to participate, now any size goes! Of these 7 tangles only 2 were known to me. I really love all these new tangles I learned, but especially Ovolution and Ogel. You did a great job with Exodus! Also, great inchie. 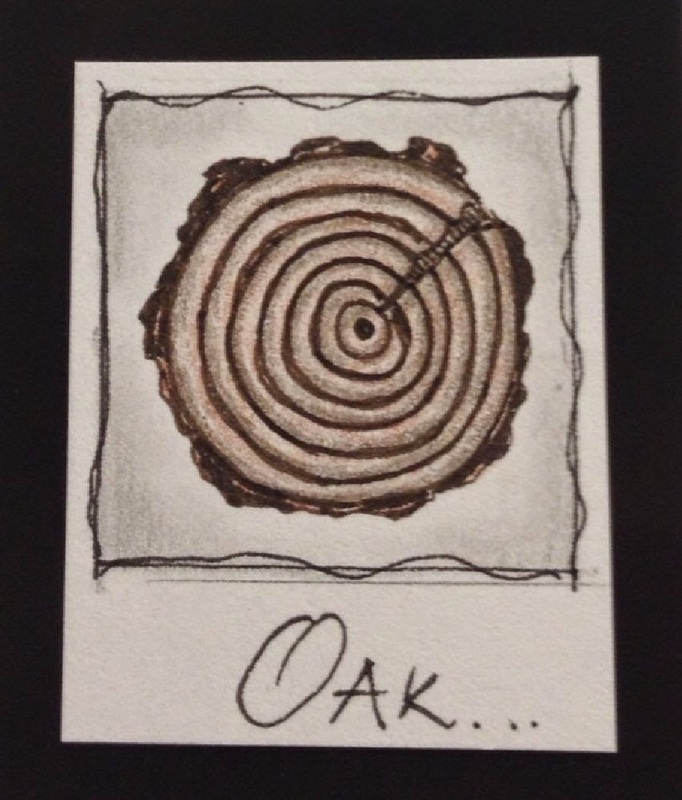 Love your slice of oak! Great inchie. Your crocheting is really pretty. I love to crochet although I don't do it often. I recently finished off an afghan that I had started 30 years ago! Great artwork. hi Ann, you are doing such great art. I really like the idea of inchies and am going to have to try them. 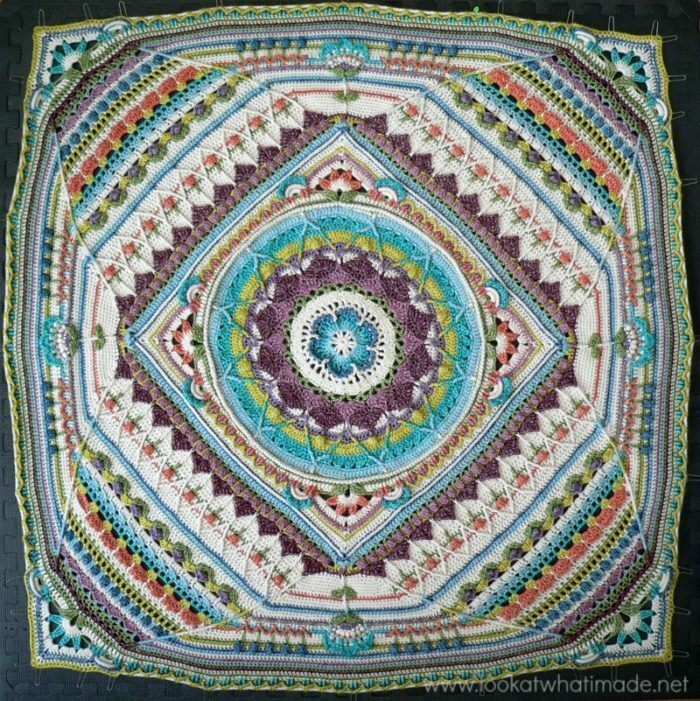 Glad you tried Sophie's Universe. what you've done looks very good. love that hot pink . I started it mostly to see if i could do it. so far so good. Lots of careful reading required before stitching. 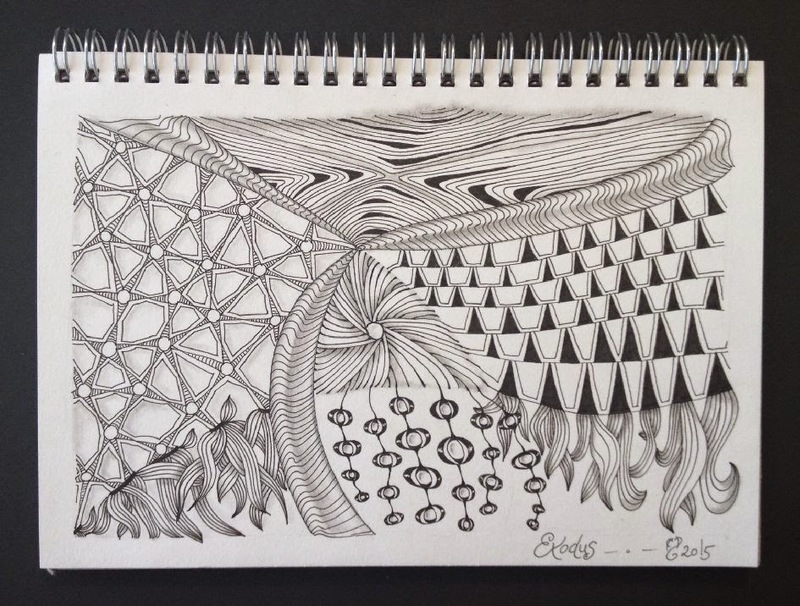 It is one of the best written and illustrated patterns I've used. Thanks for linking up with Needlework Tuesday. What a good idea for your inchie. The tangles are fab as well. You have been busy. Live your tangled work. I will be getting out my crochet hooks in a little while to do some things for my daughter (grandbaby due the end of October). Great work for the bible book challenge! And lovely inchie too. Wonderful work! Love your oak inchie!